More than 45 million Americans suffer from seasonal pollen allergies. For these people, sneezing, runny and congested noses, cold, flu, inflamed sinus are all symptoms they experience during the spring and summer months. 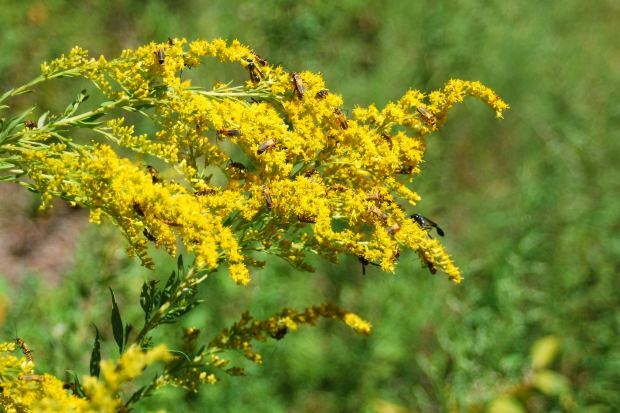 There is a not only one type of pollen that causes allergic reactions. The fact is that every year hundreds of species of plants release their pollen into the air that create allergic reactions such as runny/congested nose and itchy throat. There are three different types of pollens (grass, tree and weed) that can cause allergic reactions. Different geographic regions contain different kinds of pollen. Pollen counts indicate the amount of pollen present in the air in a particular time period (usually 24 hours). Pollen counts differ in different weather and different times of the day. For instance, pollen counts are generally higher on warm days and their density is much lower on cooler days. AirTamer A302 travel air purifier is equipped with advanced electrostatic purification that emits millions of healthy negative ions which push away airborne pollutants such as pollen, viruses, and bacteria away from your breathing space. The AirTamer A302 travel air purifier improves the quality of air indoors as well as outdoors. Keep yourself protected from pollen allergies by wearing the AirTamer A302 around your neck. It is silent and smaller than most mp3 players.